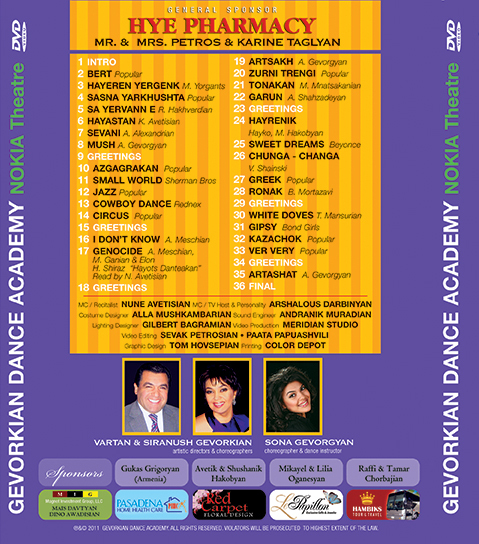 15th Anniversary of Gevorkian Dance Academy. 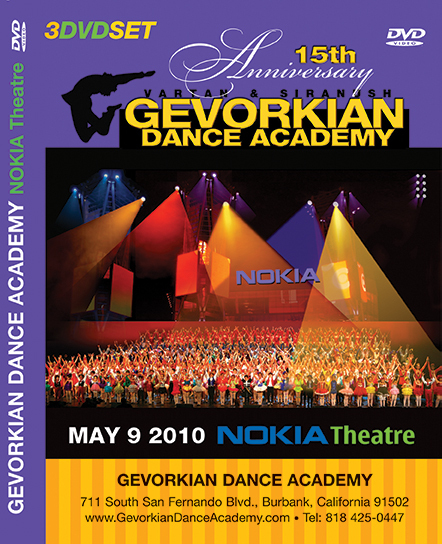 What other stage than the world famous Nokia Theater would be able to accommodate the distinguished Gevorkian Dance Academy with its 500 plus students ranging from 3 to 25 years old and an impatient audience waiting to witness the 15th Anniversary celebration of the Academy? The answer is – no other. It was on this unprecedented Mother’s Day that hundreds of mothers wept and cheered as their offspring took the 3-tiered stage for the third time and wowed the audiences with a variety of dances ranging from Armenian folklore to modern hip-hop. The uniqueness of the Academy’s achievements was highlighted once again when, for 23 minutes, hushed audiences experienced the thematic dance dedicated to the Armenian Genocide of 1915. Other noteworthy events during this performance were the many congratulatory messages received from famous people of the art world and beyond. The Academy was also honored by a Gold Medal from the Ministry of Arts and Culture of Armenia, along with a Government Recognition plaque presented by the General Council of Armenia. DVD 1 offers you the entire concert performance. DVD 2 and 3 are documentary films by famous director, Vahe Khachatryan, “Miracle of Dance”. 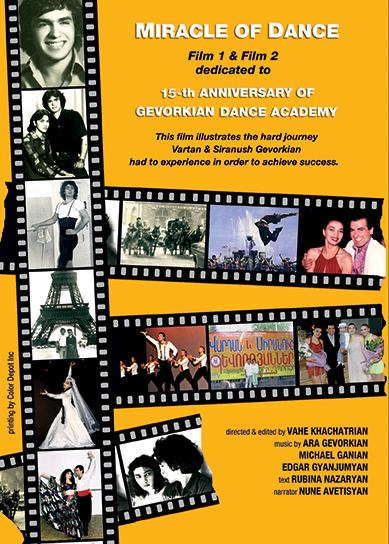 DVD 2 chronicles the biographic history and the beginnings of the Academy all the way until their 10th Anniversary Performance at Kodak Theatre. DVD 3 will take you through the colorful performances alongside Armenian and International singers, festivals, successes, and achievements that followed the group in its second decade.